A high performance antioxidant serum, rich in powerful botanicals and plant oils to help reduce fine lines, dryness and dullness to help increase skin elasticity, hydration and radiance, while protecting against environmental aggressors. Leaves skin feeling smooth, supple, hydrated and looking radiant. 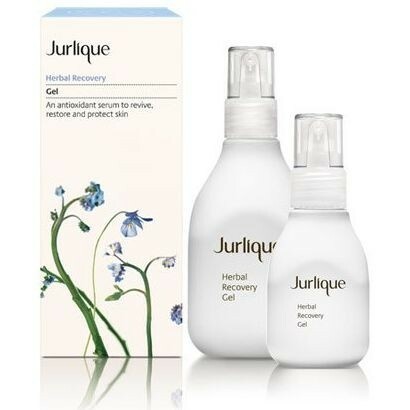 ?Helps revitalise and restore skin’s radiance. ?Helps improve skin elasticity and minimise the appearance of fine lines. ?Helps provide hydration and protection from environmental aggressors. ?Ginseng Root helps firm the skin, while Evening Primrose Oil that helps replenish skin’s lipid barrier, while boosting skin’s radiance. *Ginkgo Biloba Leaf Extract, Vitamin E (Tocopheryl Acetate) and Vitamin C (Ascorbic Acid) provide antioxidant benefits and are known to help restore and protect the skin. ?Rose Hip Oil and extracts of Marshmallow, Aloe Vera, Spilanthes, Echinacea and Rose help to hydrate, soften and soothe skin. Shake before use. Apply 1 or 2 pumps onto fingertips and press gently over face, neck and décolletage, morning and night. Ascorbic Acid (Vitamin C); Retinyl Palmitate (Vitamin A); Tocopheryl Acetate (Vitamin E); Linalool*; Geraniol*; Citronellol*; Eugenol*; Benzyl Benzoate*; Limonene*.